Attic plastic vase. 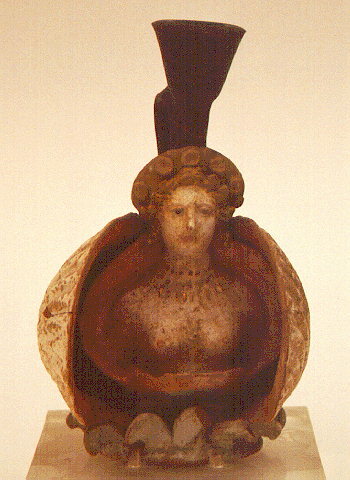 The aryballos-shaped lekythos was found at Tanagra. It represents Aphrodite, richly decorated, as "Anadyomene", emerging from the waves in a sea-shell. Dated to ca. 400 B.C. Inv. no. 2060.